With each of its three founders’ African history, Daily Paper’s collaborative capsule is a logical team-up. 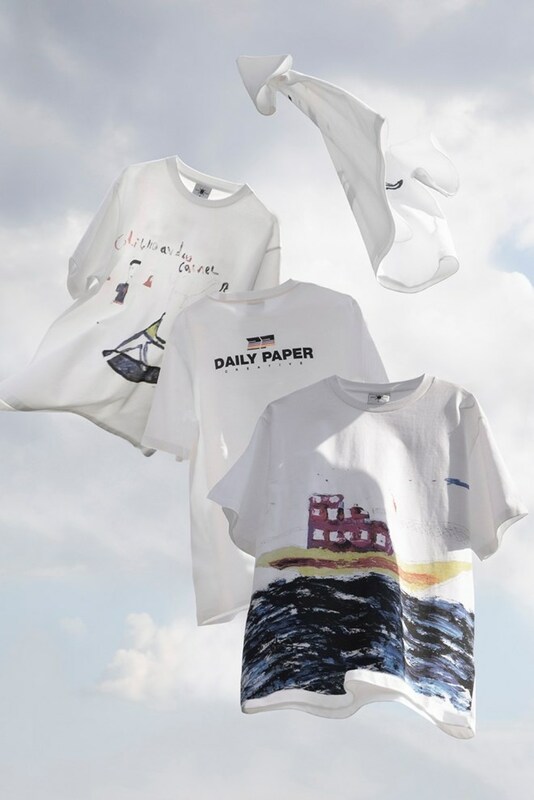 The release consists of ten white tees, each sporting a graphic drawn by a young artist. Aged 13-16 years-old, the children all left armed militias to reclaim their lives with Elman Peace’s aid, relying on a blend of rehabilitation and reintegration informed by art therapy. Daily Paper branding on the rear is the only constant throughout the collection, with each youth’s distinctive art style yielding wholly disparate tees. Illustrative renderings of houses, herons, airplanes and English text appear throughout, all executed in bright hues of yellow, blue, red and green, with the occasional contrasting black. Naturally, the proceeds from the shirt sales will benefit Elman Peace’s art therapy program, with Daily Paper soon beginning construction on a full-sized soccer pitch for the benefit of the Elman Peace members and Somalian community. The Elman Peace x Daily Paper capsule is available on Daily Paper’s site in a limited run. For more one-off graphic tees, check out BEAMS and Tom Sachs’ collaborative NASA-emblazoned T-shirt. We partnered up with the non-profit organization Elman Peace based in Somalia to create a limited Capsule Collection. The collection features 10 T-shirts with artworks created by the organization’s Art Therapy students once affected by war. All proceeds will be donated to the Art Therapy program.